Sampaio Ferreira & Cª, Lda. is another extension of the great work and vision of the industrialist Narciso Ferreira. Introduction to the industrial profile of Narciso Ferreira was already made in my previous article on ETE. This is about another company of this important figure. Firstly named Fábrica de Fiação Tecidos e Tinturaria de Riba D’Ave, (later Sampaio Ferreira & Cª , Lda) started in 24.06.1896 a long and prosperous journey by the hand of Narciso Ferreira. A man from simple origins and with tremendous vision. 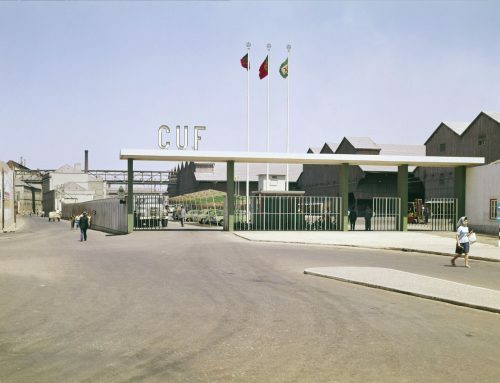 It was the first fully vertical cotton mill in the Vila Nova de Famalicão district , covering all aspects of production from spinning, to weaving and, dyeing. Industrial electrification was early adopted in the factories of Narciso Ferreira who can be considered one of the pioneers in the production and use of electrical energy for industrial and also domestic use. 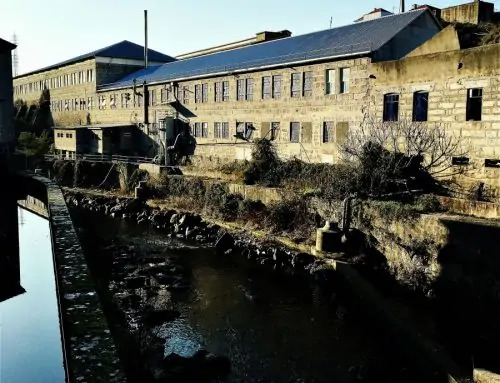 The importance of hydric-power was immediately recognized as a major key factor in production and soon after the start of Empresa Têxtil Eléctrica, in 1907-1909 period it’s created the hydroelectric central of Amieiro Galego (also in the Rio Ave region) to provide electricity to Sampaio Ferreira & Cª. Later-on, with the acquisition of the “Hidroeléctrica do Varosa” near Lamego, the group of companies were electrically self sufficient. Electrification of his factories (Sampaio Ferreira & Cª , ETE – Empresa Têxtil Eléctrica in 1905 and Oliveira Ferreira & Cª in 1909) was not the only factor to success, in fact, the fully vertical company gained tremendous know-how in the complete processing of some types of fibers like polyester. With it’s own success brand “Ribalene” (PES / HWM rayon), research and development of new textile mixtures like PES/CO, or PES/WO, new stocks for shirts and, special finishes were also performed it’s own laboratories. The difficult process of Polyester dyeing was no problem to Sampaio Ferreira & Cª who dominated the full industrial cycle on this material. A company this big, had in it’s golden days ca. 12.000 workers (three factories combined) and, was the center and soul of Riba D’Ave who’s population today roundabout 3000 persons. 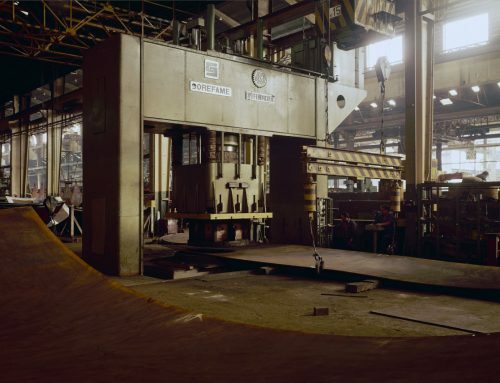 Narciso Ferreira had the vision like many other industrialists of those days, that this relationship between factory and community was vital to the business itself. The idea of community as an extension of labor itself was something very common and big companies soon explored this for the benefit of both players. This was pretty much the model followed by other factories, not only in Portugal and mainly abroad. 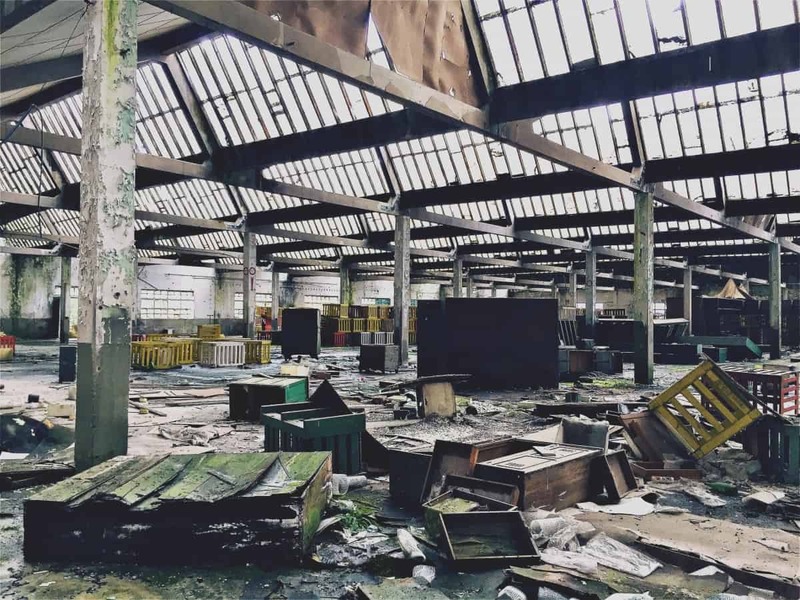 Workforce was such that at some point it was impossible to draw a line between what was the factory and what was the community. Welfare Capitalism, or industrial paternalism was the role model of the majority of manufacturing companies in the 19th century, with economics aspects but also to fade up the gap between the industrial power and it’s rulers and the common population who worked for them. This paternalistic approach was far from resolving the true problems with workers and families. Safety, poor working conditions, endless working hours and health issues were all put aside. Paternalistic approach as business model evolved through time and by the beginning of the 20th century the key concept was to socialize and approach both industrial power and workers, in a manner almost resembling a partnership, ruled and administrated by those who provided employment. Money as compensation, common society and interests all together, loyalty to the company, recognition and respect was inculcated in this manner. In Portugal there are today some companies with remnants of the traditional Welfare Capitalism although in a much more evolved and broad aspect of this economic model creating thus a sense of true working community and with a tremendous respect by it’s workers. In this model, Narciso Ferreira fits perfectly. In 1945, the Narciso Ferreira Foundation (NFF) is founded by the seven living sons and the three companies created by him. Statutes of the foundation declared the tribute to the man itself and the preservation of it’s memory, irrefutably recognized as the great benefactor of the region. 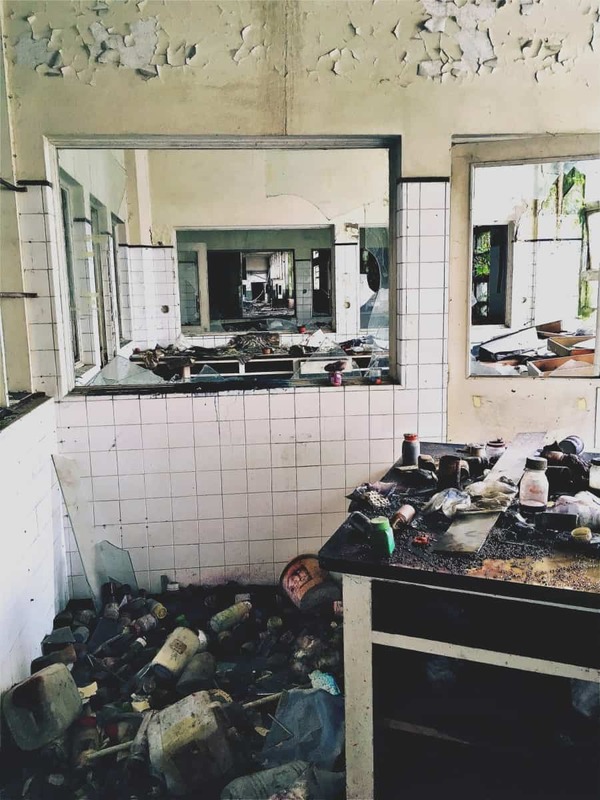 It is through the NFF that the social care and awareness of Narciso Ferreira is consolidated which started with the alienation of a substancial amount of buildings to the foundation and a financial fund to the school-canteen. The work and scope of the NFF extended to areas like security, child care, culture, healthcare, social assistance and many others. Infrastructures near the Sampaio Ferreira & Cª factory were allocated or built from scratch to serve this purposes. Later, his son Raul extends this work and, his great christian charity quality is recognized by the Pope Pio XXII who in 1947 graced him with the title of Conde de Riba D’Ave. The majority of these infrastructures are still visible today as one visits the village and stops to look around or refresh in the old Inn cafe for a drink. Immediately one can recognize the old factory. 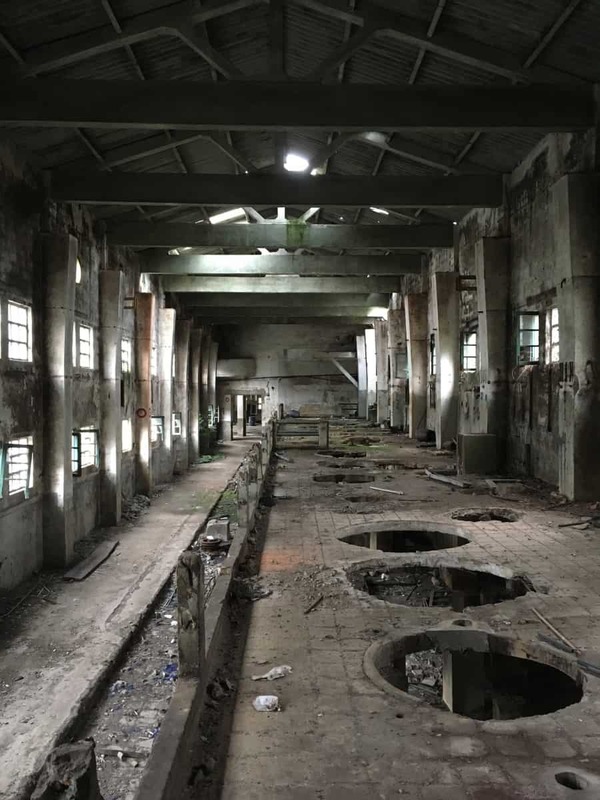 Pressures of the textile business sector and other factors lead to the decline and degradation of Sampaio Ferreira & Cª factory who ceased all activity in 7 of July 2005 as declared in “Relatorio artigo 155 Sampaio Ferreira” court decision. Precisely 143 years after Narciso Ferreira birthday. The memory of this great man is still alive today, perpetuated by the foundation and the visible signs in the village, constantly reminding us of greater days.